Our commitment to success starts with our staff. We believe in strengthening our team’s personal performance through constantly educating ourselves on win-win opportunities, while providing clients with the resources they need to reach their goals. With over 25 years of experience in the mortgage banking industry, Frank Williams has established himself as the venerable choice for even today's savviest buyers. Originally, Frank began his real estate finance career in 1990 with an emphasis in Wholesales Mortgage Banking. His expertise and excellent customer service allowed him to grow quickly within the industry. In less than 10 years, Frank helped secure over $500 million of funding for various projects, as an Area Sales Manager for New Century Mortgage Corp. from 1998-2007. Through his unparalleled success and tireless work ethic, Frank has developed a track record for bringing his client's dreams to fruition. So, it came as little surprise that, just as many mortgage professionals were exiting the industry after the market credit crisis of 2007, Frank saw it as an opportunity to expand. Shortly thereafter, he founded Capital Direct Funding in 2009. By believing not only in building for his family's future, but for his client's as well, Frank utilized his vast experience to create a truly unique financing option. Today, as Co-founder and Divisional Manager, Frank has made Capital Direct Funding into California's premier private lending firm through his continued commitment to help his clients succeed. 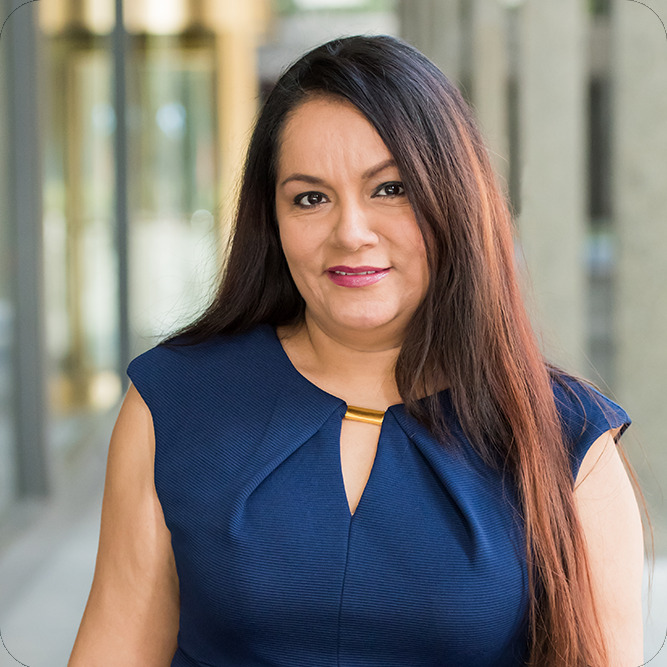 As a leader in the lending community, Sandra Williams has established herself as a premier, bilingual financial expert that puts her clients first. She is the Co-founder and President of Capital Direct Funding, Inc., a family owned private money lending company based in Los Angeles. Sandra is integral in every facet of the business, including managing finances, investments, and business operations. In doing so, she's driven to help her clients achieve their dreams by utilizing private investor capital to fund investment properties in Southern California, as well as other major metro areas. Preceding her career in mortgage lending, Sandra received her Bachelor of Arts degree in Gender Studies from the University of La Verne, and completed her Master's degree in Global Politics at the University of Southampton in the United Kingdom. Her extensive education and internationally renowned studies reflect her passion in best serving and understanding others, which ultimately spurs personal growth and accelerates the success of her clients. We are committed to honoring our investors and borrowers by caring for them personally and professionally, while improving their investments and safeguarding their financial future. Presently, we've become California's premier direct lender of private money. But beyond building a venerable reputation within the industry, we've worked hard to help the community reach new heights and support various community efforts all throughout Los Angeles. Our tireless efforts, to not only fulfill your real estate needs, but improve the community, have only served to strengthen our resolve in getting every project funded efficiently and effectively.